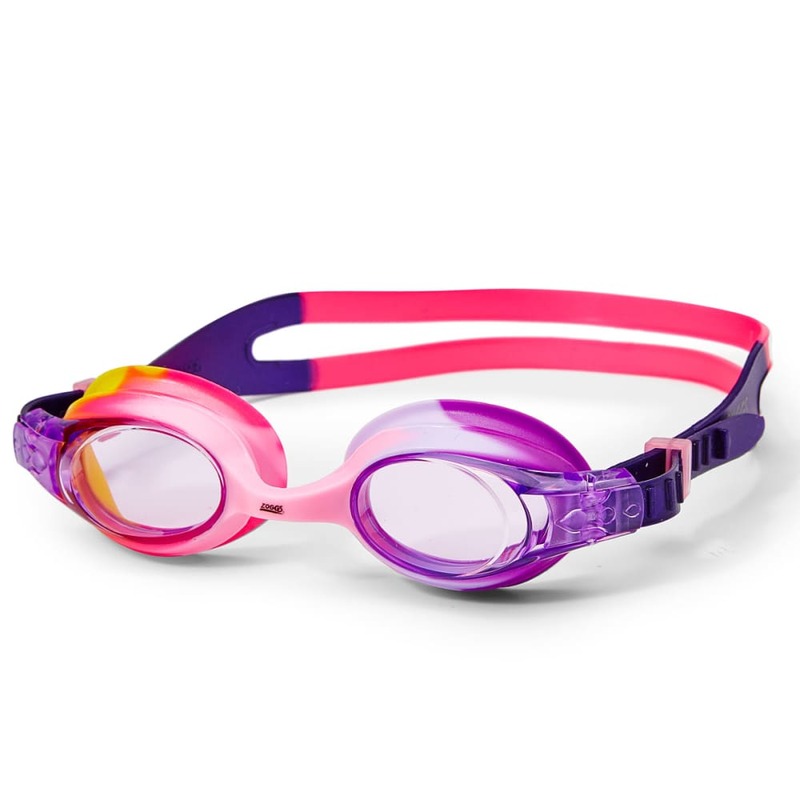 Designed for style and comfort, the Splash Swim Goggles are ideal for summer days at the pool. Their silicone frame features adjustable straps and long seals that mold to small faces for the perfect fit. UV blocking anti-fog lenses keep vision crystal clear while protecting young eyes from the sun.